Every free dropshipping WordPress theme we develop is unique in its own kind. But this one…. This one is something much more than you would expect from a webstore theme. What do you want from your dropshipping store? You want it to accept and process orders, attract customers, and bring you money, right? But, more than anything in this world, you want it to be unique. We know it – and we were working day and night to meet this goal and to keep thousands of AliDropship clients satisfied with their remarkable stores. Today, finally, we are ready to present the ultimate solution. Welcome the Dali theme – the one and only. What’s so special about the Dali theme? To answer this question, we first of all invite you to view a demo website built on Dali. Here it is – take your time to view and explore it! Named after one of the most extraordinary artists of the 20th century, this theme is radically different from everything we’ve ever offered. We have specifically developed the Dali theme to help you build a memorable brand. With its help, your store turns into something more than just a regular shopping destination. It becomes a fashion boutique providing its visitors and unmatched shopping experience. Looking for the inspiration for this theme, we’ve referred to high-end fashion brands known all over the globe for their elegance and exquisite appearance. Think of the gentle chic of Chanel, Prada, Tiffany and all the other names associated with wealth, luxury, and prosperity. That’s what we tried to incorporate into the Dali theme – and it’s up to you to decide whether we’ve met our ambitious goal. So, what makes it stand out from the themes you’ve seen earlier? When you open a Dali-based homepage, the first thing you see is a beautiful high quality video. 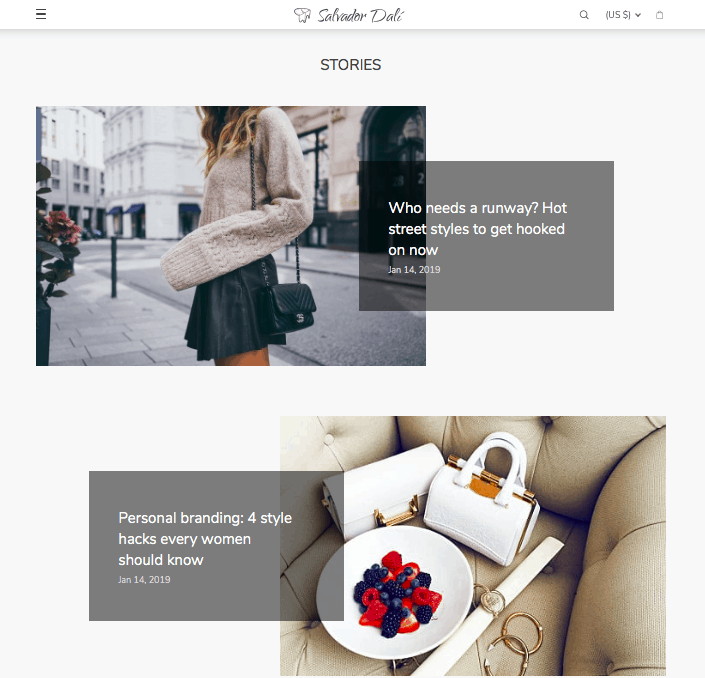 Dali theme lets you decorate your store with any video you fancy and grab your guests’ attention the second they open your homepage. To find a great video that matches your store niche, we recommend free stock video platforms like Pexels, Pixabay, Videvo, Mixkit, etc. Downloading a video, you MUST make sure that it is licensed for a commercial use! This easy navigation minimizes the visitors’ confusion and helps them find what they want in a couple of clicks. Captivated by the beauty and elegance of your website, they will surely continue their on-site journey – and, quite likely, turn themselves into happy customers! Why are we so sure that your store visitors will massively convert into buyers? This is a Featured Product section on the homepage. Here, you can display any items in a catchy, vibrant, and purchase-stimulating way. There are no limits on the amount of products you can put here. Still, we recommend to put no more than 5-8 products in this slider. You can replace them by other items whenever necessary – for example, when you put something on sale, or when you show seasonal offers before holidays. The main idea of this section is to amaze your store visitors and trigger impulse purchases. So, pay attention to the product pictures quality. If there are the original seller’s watermarks, the easiest way to remove them is to use the free Image Editor. Speaking of the product presentation, we definitely need to mention the outstanding single product pages. 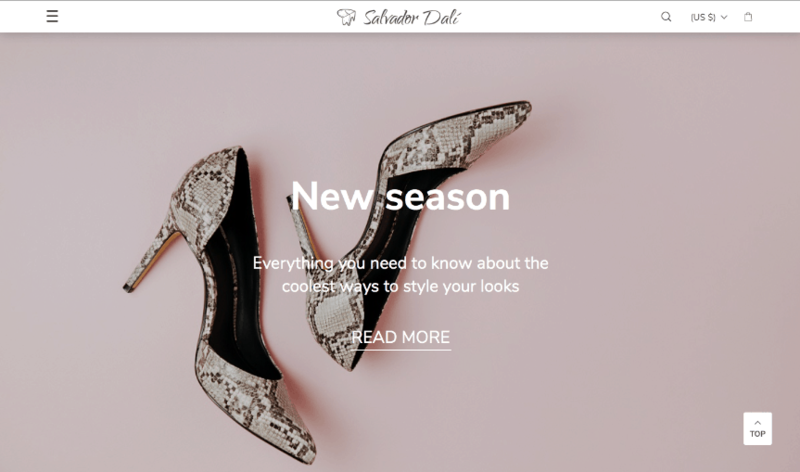 They are designed to make your visitors ‘hooked’ immediately, and all the on-page elements are made to never distract the viewer from the hottest items you’ve chosen for them. Here, you see a minimalistic and intuitive picture gallery. To view more product photos, your clients don’t have to click anywhere: they just need to scroll down the page. All the other vital elements such as price, available sizes and variations, ‘Add to Cart’ button, and informational details are located on the right side of the page. As they are seen immediately, your customers won’t need to make any effort to find and explore them! The ‘Item Specifics’, ‘Shipping & Payment’ and ‘Reviews’ fields are shown to the visitors right away, but they don’t ‘overload’ them with too much info and don’t take much place until they are expanded. So, you can freely fill them with as many explanatory details as possible! While they are still exploring the homepage, your potential clients come across your in-store Blog previews twice. First, they see this adorable insert right after the ‘Top Deals’, ‘New In’ and’ Most Liked’ sections. Clicking on the ‘Read More’ link, they get redirected to your main Blog page. Actually, you can change the text on the insert and connect it to any other page on your website: to a separate blog article, or to a single product page, or to your delivery and return policy, etc. Still, by default, it’s linked to the main Blog page, so let’s see what happens there. But what if they scroll down this insert without paying any attention to it? (Actually, it’s so tempting it’s impossible to ignore it, but some readers are very stubborn). Well, in this case, you give them another chance to enjoy your captivating writings! Right after the ‘Featured Product’ field, they see the ‘Stories’ section. There, the previews for the latest 2 articles in your blog are shown. If there are no articles in your blog yet, don’t worry – you can disable the ‘Stories’ section and make it invisible. Don’t forget to turn it on when you start blogging – there are at least 16 business benefits of running a blog in an eCommerce store! Let’s go over it once again: what do you get when you use the Dali theme for your dropshipping store? The first impression means a lot: a displeasing website appearance and structure is the main reason why dropshipping businesses fail. 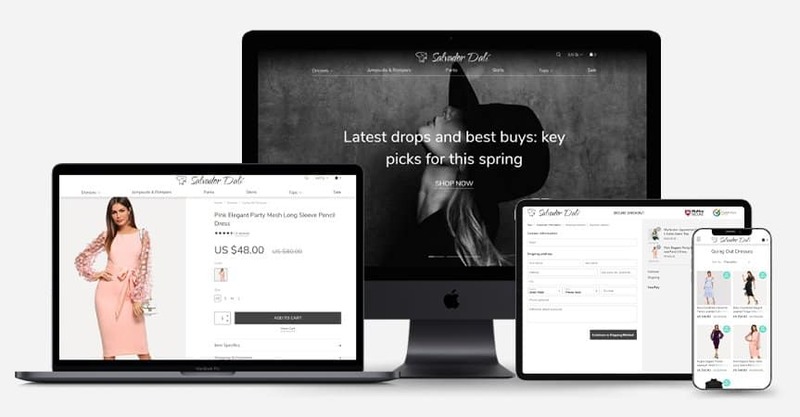 A professionally developed and carefully tested store theme is the key to inspiring your visitors’ trust and encouraging them to make a purchase. 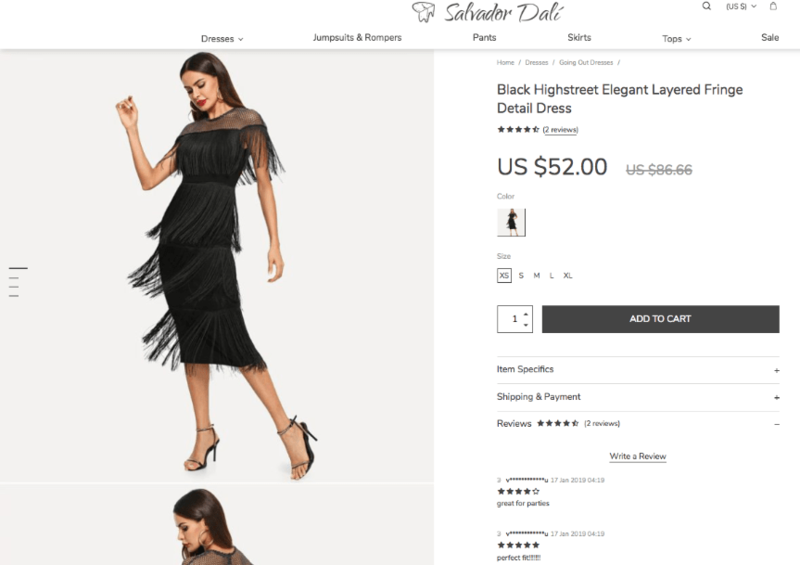 Whether you dropship apparel, or sell cutting-edge fashion items, or deal with a rising trend, thanks to the Dali theme, you can create a glamorous website that is perfect for your stylish items. 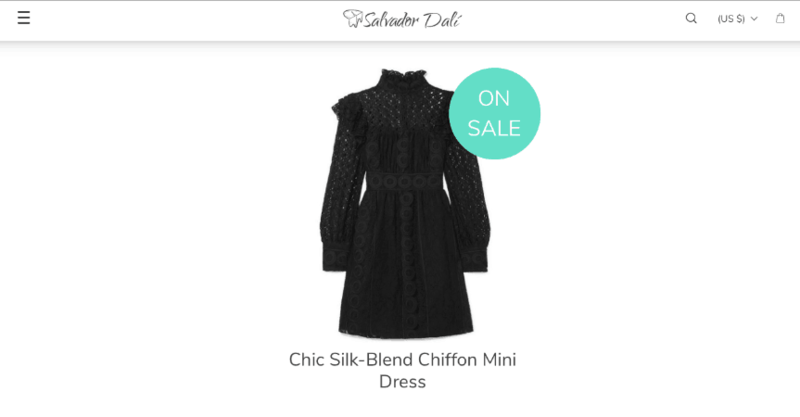 Besides, with countless elements to customize, from buttons color to promo banners and product sliders, you get an easy to remember website that won’t get confused with the competitors’ stores. Every Dali-based webpage, from the homepage to the checkout page, is clean, understandable, and free from extra confusing details. We only included the strictly necessary design elements in the pages layout, which is why the visitors’ attention is kept focused on the main thing: the products. From the homepage, the visitor can get to any other on-site destination in a couple of clicks. The clear website structure guarantees a pleasant and time-efficient purchasing experience, and motivates the buyers to come again later for even more satisfying purchases. Since the first seconds of viewing a Dali-based store, the visitors get carried away by the impressively demonstrated products. All you need to do is find winning AliExpress products (or trust the expertly made database with this task): the theme will do all the rest for you. 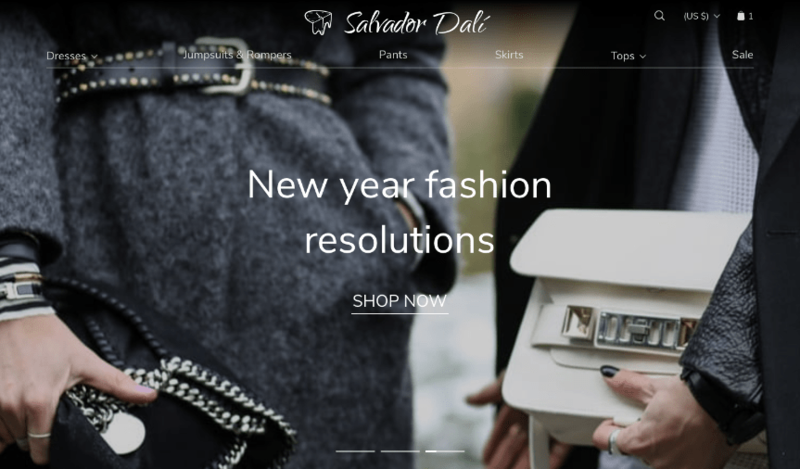 How to install Dali, a free WordPress dropshipping theme, on your website? 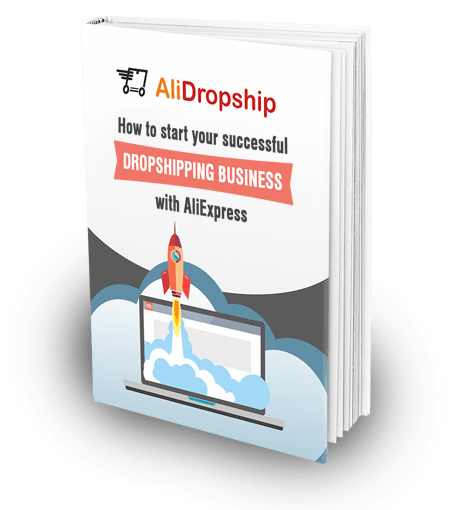 Make sure that your dropshipping website runs on AliDropship original plugin. If it doesn’t – install AliDropship plugin or order a ready-made custom store in case you don’t want to solve any tech issues. Please note: this theme is not compatible with WooCommerce! Download Dali theme from its official page and follow the theme installation instructions if you’re assembling your store yourself. If you’re ordering a custom store, simply ask your personal manager to pick this theme for your website. Use the Dali theme customization guide to change your theme settings if you want. 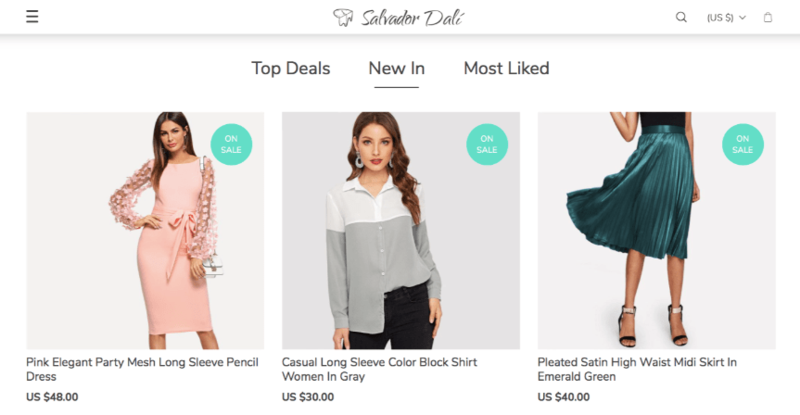 Now, you can use one more free WordPress dropshipping theme to make your website look like a reliable, cutting-edge store. Don’t miss out this opportunity to boost the profits of your dropshipping business! This theme is for original AliDropship plugin and does not work with WooCommerce. Does it mean that the original alidropship plugin is compatible with WordPress? Yes of course, it is a WordPress plugin. It is not a Woo theme, it works with WordPress and AliDropship original plugin (NOT Woo version). 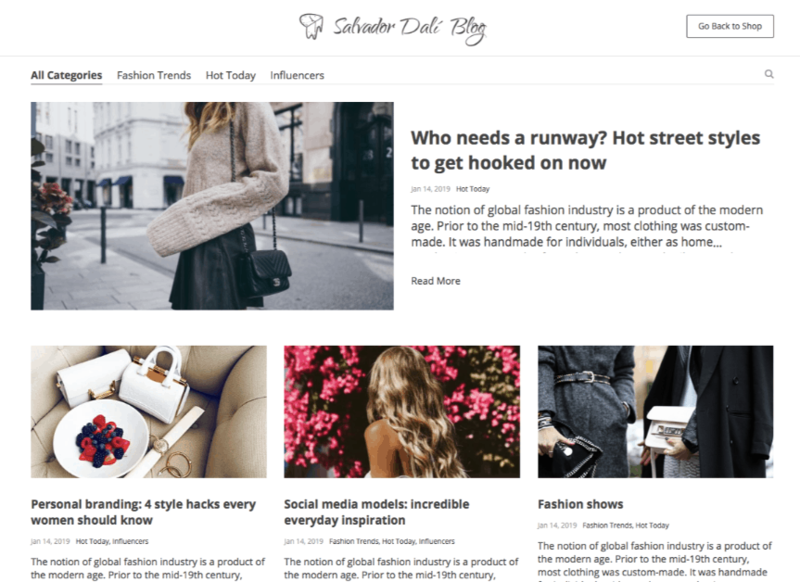 Is this theme suitable for other niches besides fashion or clothing? What other niches can use this theme? Actually, you can use this theme for any niche. I would recommend using it for products that have beautiful pictures and for stores that don’t have too many items. I love this theme already, it’s perfect for my new store. Thank you! This looks amazing, well done. Might scrap my current project and rebuild! could you plz tell me that all payment gateway supported to woo can support to this dali theme? If I already have a custom store can switch to this theme and products. My existing site is not working. I would recommend that you contact your project manager to check your site. What country is the inventory coming from. Do you load your own inventory or is it all set up for you? Everything is set for you, the stock is provided by AliExpress. Perfect theme indeed! Thanks! 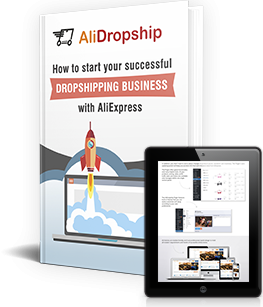 Yaroslav Nevsky, Alidropship fulfills my need of perfect dropshiping store. I want start dropshiping but I’m unsure if your company can provide what I need and how I need it. Hi, I recommend that you contact AliDropship support directly. I really like theses theme. Although i have trouble making the menu-bar “always show categories” like shown on most pictures in this article. It remains a burger menu. Am i the only one with this problem, and am i doing something wrong?